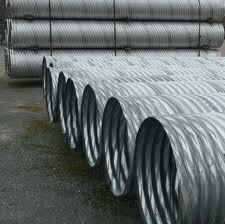 Foster Supply custom fabricates all types of fittings for corrugated metal pipe. Our capabilities range from 6" diameter to 144" diameter fittings. Foster Supply stocks all common 18" and down including tees, nineties, forty fives, twenty two an a half degree elbows. Other sizes are produced upon receipt of a purchase order. We take pride in having the shortest lead time for fabricated products in the industry. faster than any of the competitors. Let us help you on your next project. Call your local Foster Supply location for more information. If you can draw it we can make it and no job is too small or none too large for us to fill your order.